On this Veterans Day, Garver asks that you remember the men and women who have served our country, as well as those who continue to serve our country through the nation’s military services. There are those amongst us who have volunteered to put themselves in harm’s way in the name of defending our great nation and to spread peace across the globe. We are all indebted. Garver proudly serves those who serve. 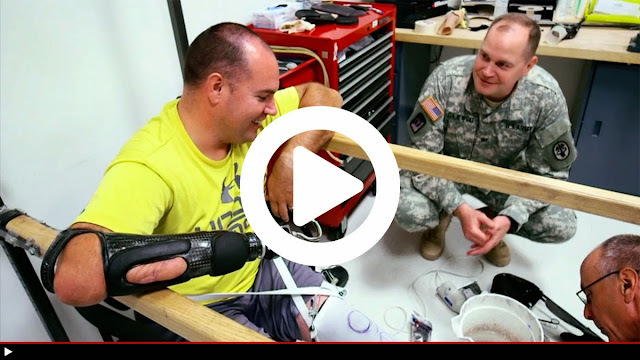 One of the ways we’re doing that is at the Center for the Intrepid at Fort Sam Houston, Texas, where veterans who have sustained amputation, burns, or functional limb loss seek rehabilitation. The center also provides education on rehabilitation modalities and promotes rehabilitation research. 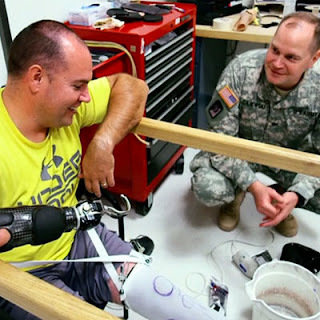 Garver’s Facilities Design Team is working to repair and renovate portions of the facility, and also to expand the facility's capabilities to manufacture IDEOs, which are devices used by those who hav trouble walking or standing because of lower leg injuries. Click on the video above to see how the Center for the Intrepid is making a difference in the lives of our veterans. To find out more about this project, contact Garver Architect Joe Orloff at JCOrloff@GarverUSA.com.